Are you planning your next summer vacation yet? Even if you’re just back from a much-needed break, it’s never too early to start thinking about the next escape. According to the Bureau of Labor Statistics, Americans spend about 3% of their total household expenditures on travel. At 44% of the total, transportation costs account for the largest travel expense category, followed by sustenance and lodging at 23% each. That’s why determining whether it’s cheaper to fly or drive is so important – the right call could shave hundreds off the total cost of your trip. Plenty of other cost-related considerations abound too. 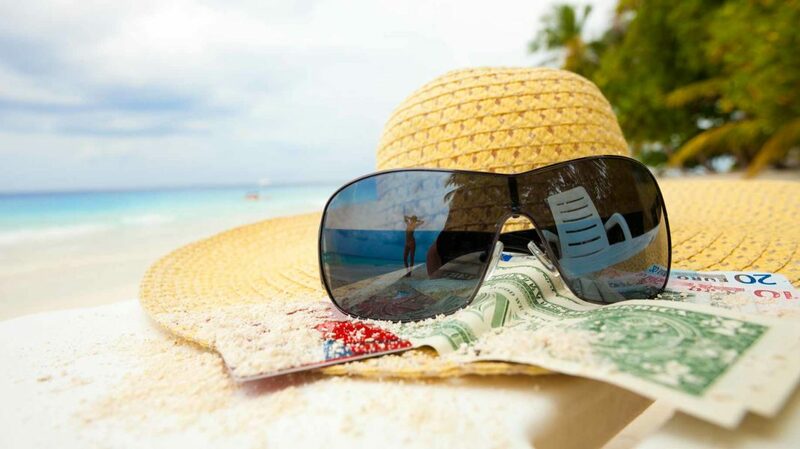 Let’s take a look at some popular summer vacation ideas, with tailored tips to reduce the total financial drain of each. Every traveler is their own person. Ergo, every vacation is unique. The information in these itineraries is estimated and suggested, not set in stone. It’s meant to give an idea of what to expect cost- and time-wise, not chain you to a process over which you have no control. Duration: How long you can expect to spend away from home on this type of trip. I arbitrarily set the upper limit at 10 days, but some itineraries can support much longer adventures. Transportation: The modes of transport you’ll likely use to get to, from, and around your destination or complete your itinerary. Lodging Type: Where you can expect to stay. Lodging Cost Range: How much you should expect to pay for your accommodations. Divide by group size to get a per-person cost. High variability is attributable to location, quality, amenities, size, and other factors. Possible Add-Ons: Examples of activities, equipment, and other paid add-ons you might want or need during your trip. This isn’t a conclusive list of the possibilities. As glamping resorts proliferate across North America, “camping” is no longer synonymous with “roughing it outdoors.” If you can afford to shell out $400 per night at Posh Primitive in upstate New York, or $950 and up per night at Montana’s famous Ranch at Rock Creek, go for it. If you’re on a tighter budget, as most would-be campers are, go the traditional route. There’s nothing quite like pitching your own tent before cooking a simple dinner, enjoying a long summer sunset, and spending an hour or two struggling to identify all the constellations you can’t even see back in the city. Stay Close to Home. One of the best camping trips I’ve ever taken was a quick Fourth of July weekend excursion to a lakeside spread less than an hour from my house. The trip used less than a quarter-tank of gas – about $6 worth. No matter where you live, you can almost certainly find a rustic campground at comparable remove. That’s perfect for a two-day weekend, and short enough that the lack of modern facilities and creature comforts won’t wear on you. Don’t Glamp. Glamping is, well, glamorous. It’s also needlessly expensive. At resorts with glamping cabins and lodge rooms, glampers invariably pay more: a novelty-and-privacy surcharge, really. Look for Free Campsites. Yes, they’re out there, though many sit on state or federal protected lands that charge daily or weekly entry fees. Check FreeCampsites.net, a crowdsourced database of free and cheap campsites in North America, for options near you. Or check with your state department of natural resources. Free campsites are almost invariably primitive, and many are hike-in, but that’s a small price to pay for complimentary lodgings. Go Primitive. Why pay for running water and electric hookups? Primitive campsites, especially backcountry sites without road access, are almost always cheaper than improved sites fit for vans and RVs. If you’re worried about access to potable water, look for sites near a natural water source and pack plenty of iodine tablets (about $8 for 50 tabs at Amazon) or boil surface water thoroughly (15 minutes) before use. Brings Lots of Nonperishable Food. Pack lots of calorie-dense, nonperishable food that doesn’t require cooking or heating. That means trail mix, energy bars, and PB&J sandwiches, among other standbys. Rent Your Tent. If you’re not an avid camper, consider renting your own tent and fly rather than buying one new or used. A decent tent rental shouldn’t set you back more than $30 or $40 for a weekend, though you’ll need to pay more for a waterproof setup. On car camping trips, regular bedding and a roll-up sleeping pad should suffice. If you’re hiking in, you’ll need a lightweight sleeping bag that can fit in your backpack. With multiple bedrooms and full kitchens, larger vacation houses are ideal for big groups: family reunions, destination bachelor parties, extended birthday celebrations, you name it. And, like campsites, they’re everywhere. That means less time and money for travel, and more for fun. Travel With a Larger Group. An extra person or two in your crew can really ease the financial burden of a long weekend away. Shoot for maximum capacity: If your Airbnb host says the house sleeps eight, find seven traveling companions. If you can’t scrounge up a big enough group, look for a smaller place. Compromise on Location. Who says you have to stay right on the beach? Go a mile or two in from the beach, or away from the lakeshore, or down the mountainside. You’ll find cheaper rentals there, guaranteed – and you’ll still be a long walk or short drive from the center of the action. Bunk Together. Get cozy – you’re on vacation! Max out (or ever-so-slightly exceed) your rental’s advertised capacity by fully utilizing all available sleeping space. If that means some guests have to take turns on the floor, so be it. They’ll be back in their own beds soon enough. Cook Meals at Home. Choose a rental with a serviceable kitchen, then plan meals in advance (and divvy up cooking and cleaning responsibilities) with a master spreadsheet. In my experience, two meals per day – brunch and dinner – is enough. Buy bulk snacks to tide guests over between gorgings. Split costs evenly. If you’re in a smaller group or traveling with your significant other only, the same logic applies – you’ll just have to cook every meal. Carpool. Carpooling to and from your rental house reduces each guest’s share of unavoidable driving costs: gas, tolls, vehicle wear and tear. In busy destinations, particularly beach towns on cramped barrier islands, carpooling is a virtual necessity due to draconian parking restrictions. “Resort” is a broad, almost meaningless phrase, encompassing everything from impossibly luxurious all-inclusive honeymoon destinations to private rustic campgrounds with on-site amenities and recreation equipment. While the archetypal resort is in a rural setting in or near an outdoor adventure vacation, urban and near-urban resorts abound too – especially in Sun Belt cities like Phoenix and San Diego. More variety means more opportunities to save. The ideal way to plan a resort vacation is to pick a destination, duration, and theme, and work backward from there. Watch out for minimum stay requirements – plenty of resorts have them. And pay close attention to properties’ personalities and amenities. Dude ranches and adults-only honeymoon spots both qualify as “resorts,” but they couldn’t be more different in practice. Apply for a Travel Rewards Credit Card. 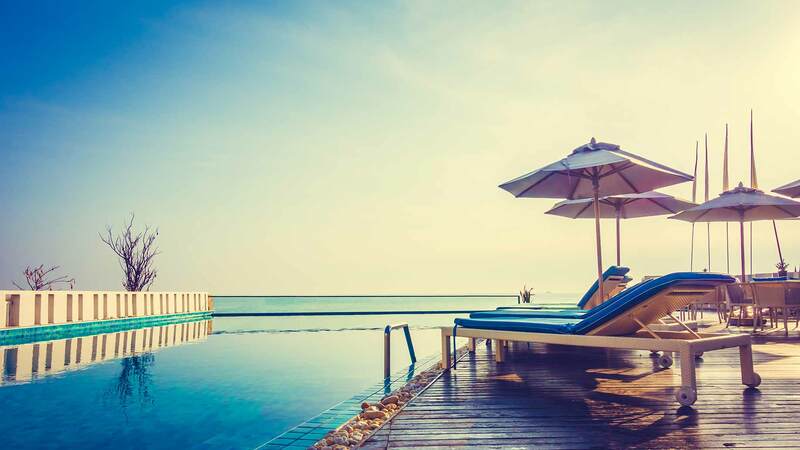 A travel credit card is a worthy addition to any regular traveler’s wallet, but it really shines on pricier trips involving high-end hotels and long-distance flights. Premium travel cards have rewards rates north of 1.5%, with value-added perks and credits that further sweeten the pot. Check out our roundup of the best travel rewards credit cards on the market for ideas. Consider More Rustic Properties. Look beyond resort amenities, tempting as they appear, and evaluate the destination as a whole. What’s on the way? What can you do in the surrounding countryside? Are there any quirky towns to explore nearby? Can you survive without air conditioning? One of my all-time favorite “resorts” is a decidedly rustic spot in far northern Minnesota, just across a mile-wide lake from Canada. It’s basically a glorified campground with non-motorized watercraft and other stuff available for rent, but the setting couldn’t be more beautiful – and the lack of air conditioning is rarely a problem so far north. Avoid Pricey Add-Ons. Unless they’re the main reason for your trip or included in your nightly rate, skip pricey extras like spa treatments, private dinners, and guided horseback or ATV tours. Partake in free or cheap outdoor activities instead, or just relax on the porch or by the pool with a book. You’re on vacation, after all. Whether you’re sticking around for a staycation in your hometown, driving or taking the train into the nearest major city, or jetting across the continent to a metropolitan destination you’ve had your eye on for some time, there’s no better time than a sunny summer weekend. Urban digs are generally more expensive than rustic campgrounds, but that doesn’t mean your city weekend has to cost an arm and a leg. Save on lodging and restaurant meals by skipping the four- and five-star hotels and heading down-market, to out-of-the-way motels or cozy short-term rentals with well-equipped kitchens and easy access to public transit. Look for free and cheap things to do around town – our guide to free and cheap things to do in Boston is a must-read for visitors to urban New England, for instance. And use Yelp or Facebook to find cheap hot spots popular with locals – you’ll get a better feel for your temporary home at such places anyway. Stay in a Hostel. Hostels aren’t as popular in North America as in other parts of the world, but they’re out there, especially in big cities like New York and Chicago. Dorm-style hostel accommodations – four to eight people per room – shouldn’t cost more than $20 to $30 per night in most cities. Rent an Apartment or Condo. If you want more privacy than a basic hostel room can provide, look for an apartment or condo rental. Cast your net outside your destination’s central business district and avoid trendy neighborhoods. You’ll save on the convenience premium this way. 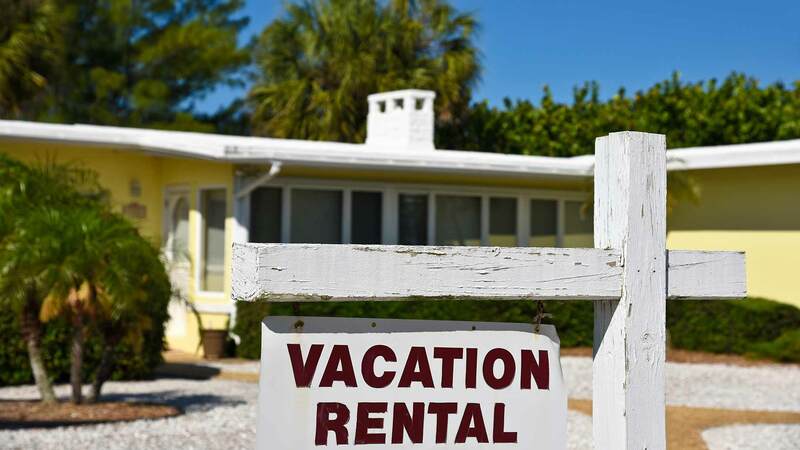 And check local short-term rental regulations before you book, as some cities frown upon or outright ban them. Leave the Car at Home. Avoid driving into the city unless you’re confident you’ll be able to find long-term street parking. If you live within commuting distance, take the train or bus instead. If you live more than a few hours’ drive from the city, look for a low-cost flight, or drive to a suburban commuter station and bus or train into the city center. Once you’re in town, use public transit to get around. Find Off-Season Deals. Summer is the high season in most North American cities, but the exceptions are plentiful enough to keep things interesting. The script flips in Sun Belt cities like Las Vegas and Miami, where low airfare and hotel rates take the edge off the oppressive heat. (I spent shockingly little on a recent midsummer trip to Phoenix. I lived to tell about it.) Use the GSA per-diem chart to get a rough sense of your potential off-season savings in hot destinations. Pre-Purchase a Discount Attractions Pass. Don’t pay full-price admission at any popular attractions without first looking into local discount passes. CityPASS and Smart Destinations are the two most popular discounters in the United States, each with more than a dozen major cities in their stables and potential savings north of 50%. 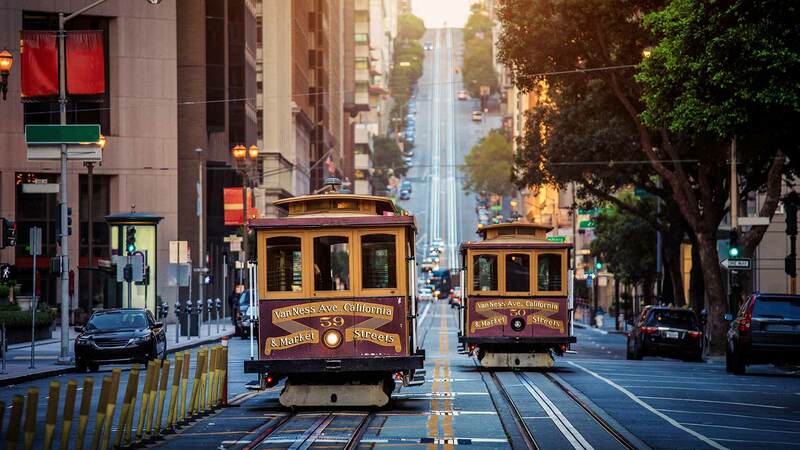 If you’re heading to the Bay Area, for instance, you’ll want to grab a San Francisco CityPASS, a San Francisco Go Card, or both. The quintessential American road trip might be a multi-week affair, but who has that kind of time these days? You can pack plenty of sights and weird, serendipitous roadside experiences into an extended weekend – without journeying halfway across the continent. Start by deciding your road trip’s parameters: duration, destination(s), general route. One of the biggest decisions you need to make is whether you’ll retrace your route on the way back, drive a circuit, or do a one-way drive with a rented car and return by one-way flight. Once the broad strokes are in place, it’s time for the fun part: filling in your itinerary. Avoid Luxurious Hotels and Resorts. When your top priority is getting enough sleep to drive safely to your next destination, it doesn’t really matter where you stay. Roadside motels work just fine. Book ahead of time for the best rates – even at bare-bones motels, walk-in prices can be shocking. Stay Outside Major City Centers. Big cities make great road trip destinations, but it’s usually more expensive to stay in the middle of the action. Unless you plan to stick around for a couple nights, set up shop in a cheap suburban motel, hotel, or short-term rental and drive or take public transit downtown. Use a Fuel-Sipping Car. On trips covering hundreds or thousands of miles, fuel economy makes a big difference. A subcompact car that gets 40 miles per gallon on the highway is 2.5 times more efficient than a truck or SUV with a 15 MPG highway rating. If cargo or towing capacity isn’t an issue, this is a no-brainer. And, if your regular ride is a gas guzzler, consider renting a more efficient vehicle for the duration of your high-mileage trip. On a $200-per-week rental with unlimited mileage, you’ll still come out ahead after accounting for the fuel differential and wear and tear ($1 per mile or more for large vehicles). Bring Camping Gear. Roadside campgrounds are even cheaper than roadside motels. You don’t have to sleep under the stars every night, but it’s nice to have the option. Drive Slower. Easier said than done, but definitely worthwhile. According to the U.S. Department of Energy, every 5 MPH driven over 50 MPH increases fuel costs by the equivalent of $0.17 per gallon. At an average freeway speed of 75 MPH, that’s an extra $0.85 per gallon. Use a Gas or Cash Back Credit Card. 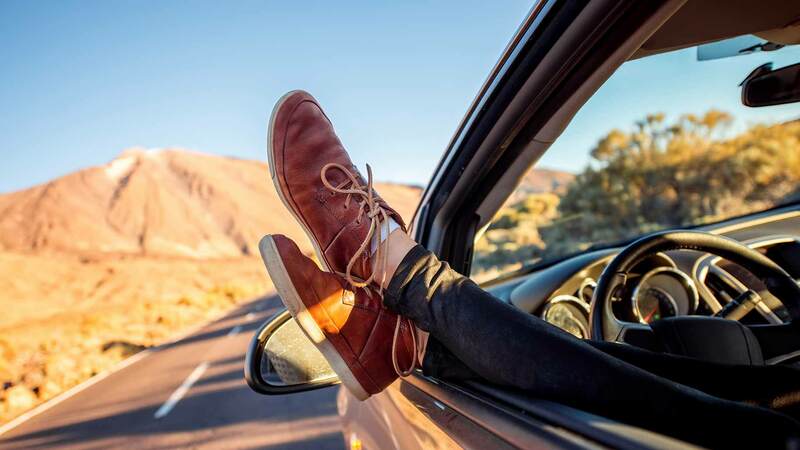 Before your next big road trip, apply for a gas credit card or cash back credit card that favors purchases at the pump. Pro Tip: If you’re really enamored with life on the road, there’s never been a better time to go all-in on it. 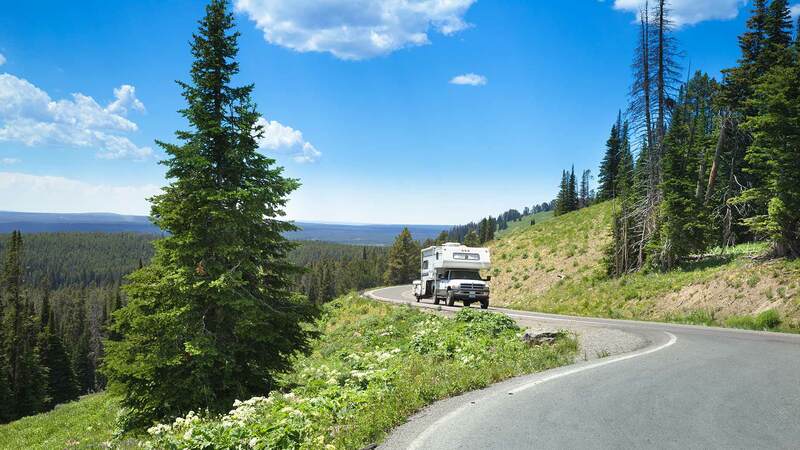 Check out our overview of what it takes to live and travel full-time in an RV, then dive into the details with our posts on choosing the right camper and getting mail while RVing. Avoid Pricey Hotels and Resorts. The same logic applies here. Why stay in a four- or five-star hotel when a motel or campground will do? Stay Outside the City. Find affordable suburban digs near a train or bus station, head into the city for the evening, and leave town with your budget intact. Use a Fuel-Sipping Car. Renting is almost certainly the most cost-effective option on road trips stretching longer than 500 miles, assuming unlimited mileage. Bring Cookware. Skip pricey restaurant meals (including roadside fast food) and embrace the joys of home cooking. Patronizing grocery stores is a great way to soak in local flavor too. Hit Touristy Attractions on the Way Through. Avoid staying at or near super-popular or -pricey attractions, such as Napa wineries or world-renowned theme parks. Plan to hit them midway through a daily drive instead. Make sure you’re well clear by the end of the day. North America is blessed with some of the world’s best long-distance hiking trails. Many are located within easy reach of major metropolitan areas: The famed Appalachian Trail, for instance, passes within an hour’s drive of New York City, and not much farther from Washington, D.C. 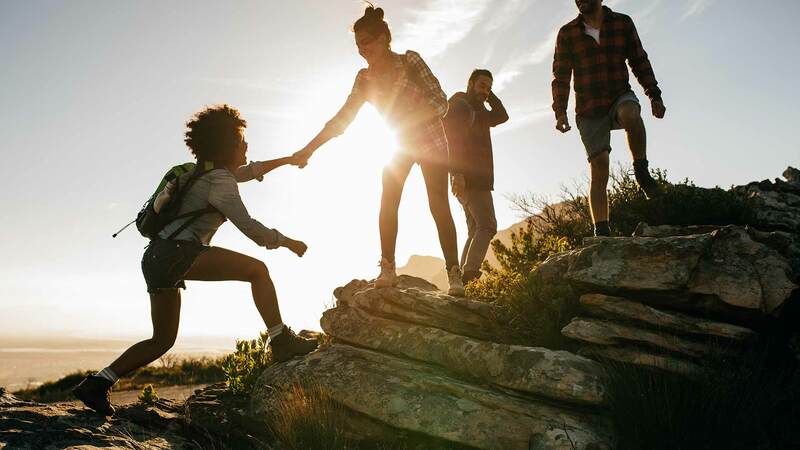 Whether you’re in peak physical condition or just starting to train, a long-distance hike is a perfect fitness vacation. And it’s cheap: A DIY long-distance hike’s daily cost is on par with a camping trip’s, assuming you’re not walking out of the woods and staying in modern hotels every night. Pro Tip: No matter how outdoorsy you are, you’re probably not ready to walk into the woods for a week or longer tomorrow. Get in gear with our guide to preparing for a long-distance hike. Do an Out-and-Back or Circuit Hike. This is a cost-saving measure and a logistical boon. Ending up where you started reduces travel costs to and from the trailhead – dramatically if your endpoint is farther from your home than your starting point. If you’re relying on a friend or family member to pick you up at your endpoint, ending where you began saves you a pretty big favor too. Get a Ride to the Trailhead. If you’re willing to reciprocate at some point in the future, this is a good opportunity to cash in a favor with a friend or relative. Or use a reputable hiker shuttle service. Whiteblaze has a fantastic shuttle directory for Appalachian Trail hikers. Elsewhere, you’ll need to do some digging on your own. Rest assured, shuttles are out there – Superior Hiking Shuttle (maxing out at $75 per hiker) is a great option for warm(ish) weather hikers on Lake Superior’s north shore. Eat Simply. On routes traversing populated areas, the temptation to gorge at the nearest greasy spoon is intense. Try to resist it. Instead, pack as much nonperishable food as possible, restocking at grocery stores (if available) or park canteens along the way. If you can manage the extra bulk, bring lightweight camp-cooking implements for variety. Remember to eat fresh fruits and vegetables whenever available – the health benefits are worth the added cost. Like a long-distance hike, a long-distance bike ride is a great way to get in shape and get fresh air without breaking the bank. It covers a fair bit more ground too: 14 to 16 miles per hour is a decent pace on flat ground. In terms of comfort and amenities, not all long-distance bike rides are created equal. Spend $50 to $100 per day for a charter or guided ride and you can forget about carrying your own stuff or making your own meals. Double that daily cost and you’ll enjoy a roof over your head (hopefully with air conditioning) every night. On the opposite side of the spectrum, a DIY long-distance ride from rustic campground to rustic campground will cost you next to nothing. Learn Basic Bike Repair and Maintenance. It’s not as daunting as it appears. Keeping your bike clean and well-oiled (literally) can significantly reduce long-term ownership costs. So can arming yourself with basic DIY repair skills. Purchase a multi-tool bike repair kit (less than $20) and common spares (a tube and chain should set you back less than $30 total) and save yourself the hassle and expense of finding a bike repair shop on the road. Plan Showers and Laundry in Advance. On organized rides, you’ll likely have access to shower trucks, community centers with shower facilities, or high school gymnasiums. Most charge for shower use: $5 to $8 per shower is common, in my experience. Look for the lowest-cost providers in advance. On DIY rides, you may be able to wrangle showers at public facilities for free. Look them up in advance and connect with someone in charge to let them know when you’ll be coming through. Avoid Pricey Charters or Guided Rides. Skip the pricey charter or guided ride, the cost of which can easily exceed $500 per person, per week. On organized rides, pay the registration fee – usually not more than $200 per week – and get a bike trailer (pull cart – about $100 for a folding cart) to carry your tent and bedding, equipment, food, and clothing. Camp Out Wherever Possible. Some organized bike rides are comparatively luxurious, with scheduled stops at three- and four-star hotels or pricey bed and breakfast inns each night. If you’re on a tight budget, skip these rides (or decline comfy lodgings, if possible) and camp out. Municipal campgrounds generally charge nominal fees for overnight camping. Devise a Waterproofing System. It only takes one downpour to ruin a long-distance bike ride – once soaked, luggage takes days to dry (if at all). Mold and mildew inevitably follow. Unless you’re riding through an arid region where you’re pretty confident it won’t rain at all, take pains to waterproof your stuff. Spring for waterproof or water-resistant baggage and use a tight-fitting tarp to cover everything in your pull cart. Remember to cover the sides and bottom too. Splash-up from the road is just as bad as rain from above. What better way to relive your youth – or enjoy it for the first time – than a backpacking trek in an unfamiliar part of the world? Europe is probably the most accessible backpacking destination for U.S.-based adventurers, but it’s not the whole story. Other regions, notably Latin America and Southeast Asia, are considerably cheaper and more inviting than western Europe’s tourist-clogged capitals. A well-executed backpacking trip can be a life-changing experience from which your personal budget recovers in surprisingly short order. Just remember to leave plenty of time for planning. Even on a shoestring budget, international travel is rife with special considerations and hidden pitfalls not present on the domestic front: language barriers, tourist scams, threats to personal and financial safety, transportation snafus, and more. You Might Also Like: Speaking of safety concerns for international travelers: Check out our post on common types of theft abroad. Focus on Lower-Cost Countries. Not all backpacking roads lead through western Europe or North America. Cheaper adventures await in central and eastern Europe, Latin America, south and Southeast Asia, and parts of Africa. Before you firm up your plans, check currency exchange rates and purchasing power (a measure of how far your dollars go) in each candidate destination. Prioritize the most cost-effective of the bunch. Go Rural. Even in wealthy, expensive countries, rural areas tend to be cheaper than urban centers. This is especially true in wide-open places like Australia and New Zealand, where rural backpacking is relatively safe and stunningly beautiful. A good friend of mine spent a month hiking and biking the spine of New Zealand while in college, spending shockingly little along the way. 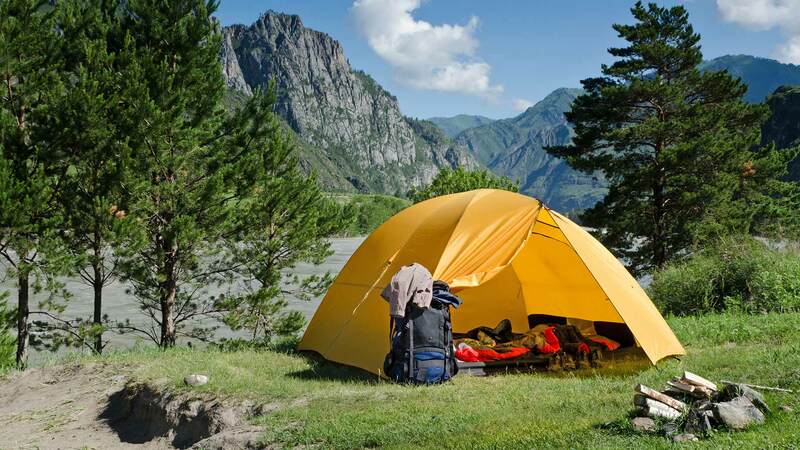 If you can fit a lightweight tent in your luggage, you’ll save a bundle on lodging costs. Stay in Hostels. Where camping isn’t feasible, as in most large foreign cities, hostels abound. If you’re comfortable sharing a bunk room with multiple strangers, you shouldn’t have to pay more than $20 or $30 per night at a basic hostel, even in touristy European capitals. Patiently Search for the Best Airfare Deals. Start searching for flights early and don’t pull the trigger until you’re reasonably confident you’re getting a good deal. Use online travel aggregators’ price alert tools (I’m partial to Kayak’s) to find new deals as soon as they’re available. Sign up for a free travel deals newsletter like Scott’s Cheap Flights. Consider more advanced travel hacks, such as hidden-city itineraries via Skiplagged. And sign up for every free travel loyalty program you can – those earned miles will eventually pay off. Get a Rail Pass. In regions with good rail service, get a multiday rail pass that offers extensive or unlimited rail travel at a fixed rate. Eurail is the market leader in continental Europe, but there are plenty of other legitimate options out there. Cook as Many Meals as You Can. Cooking your own meals on the road is feasible even if you don’t have a private apartment to yourself. Most hostels have communal kitchens, where group (or solo) meals provide prime opportunities to mix, mingle, and save money. Just remember to clearly label any food you leave in a public refrigerator. Learn to Love Street Food. If you aren’t up for home-cooking in a hostel or short-term rental to save money on food, embrace the next-best thing: street food. In some parts of the world, especially Southeast Asia, street food is remarkably cheap – a better deal than cooking at home, in most cases. When we visited Thailand, my wife and I almost exclusively ate street food, spending as little as $2 to $3 dollars together for filling meals. And no, we never got sick. At one time or another, I’ve done most of the summer vacation ideas on this list. I still need to complete a true long-distance hike to completely satisfy my warm-weather bucket list. What about you? If I haven’t included your ideal summer vacation here, I’d like to hear more about what you do to control associated expenses. After all, the only thing more satisfying than a well-deserved break from the daily grind is a cost-effective, low-stress break from the daily grind. What’s your go-to summer vacation itinerary?